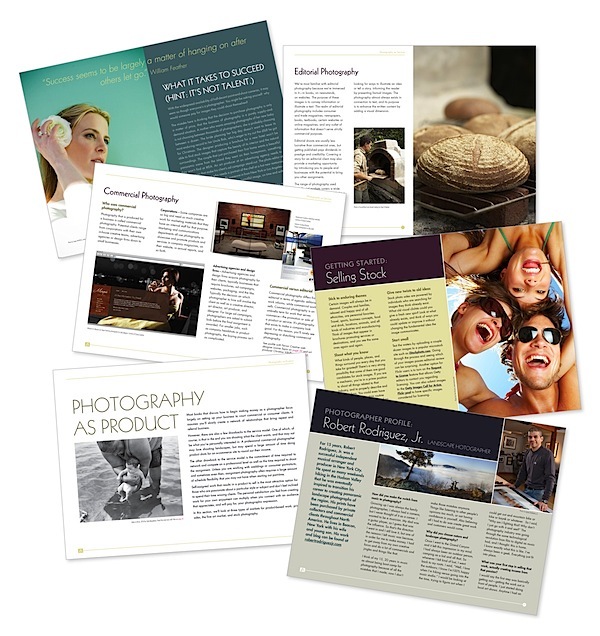 The Digital Photography School released last week their 7th e-book. In fact, this time it is more then just one e-book, this is the whole “Going Pro” kit. The kit consists of two e-books and four audio interviews with experts. It is a lot of material, even at the $29.99 price tag. 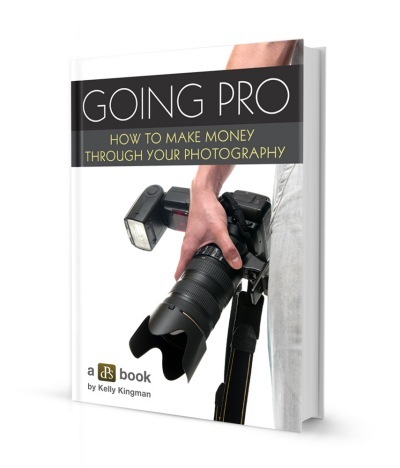 The “Going Pro” e-book by Kelly Kingman is 91 pages long! Photo editor by day, she did tremendous amount of research and interviews which resulted in this e-book. She discusses several ways people can go about selling their photographs. There are short chapters on photojournalism, commercial photography, wedding and portraits, fine art and stock. The author talks also about non-traditional carriers in photography, not involving taking photos directly, but often very satisfactory and surely providing an income. For all the types of photographic business, it has basic tips where to start, tricks to avoid common traps and what might or should be your long term goals. The biggest advantage of the e-book are numerous interviews loaded with practical tips. This is the genuine first hand advice, coming from people on both side of the camera- photographers, but also art buyers, editores or reviewers. From ten interviews presented in the e-book, four are available for download and to listen to the full, unedited conversation. Over two hour of listening! And the choice of people to interviews is excellent. I know myself a little bit about stock photography, and I can tell you that Yuri Arcus and Ellen Boughn are indeed the people I want to listen to when they give tips. They worked in the industry for years, and certainly know what their talking about. Both share freely their experience and give useful tips. There are some general chapters for all photography genres, too. The primer on website, portfolio, model and property releases and marketing are included. I guess the one piece of advice is not stressed enough, though. It is mentioned only briefly in portrait section, and that is to stay away from high overhead. Probably from any overhead at first, until you have a solid business running. Overall, this is a great read for people considering earning money with their camera. And when you think about it, it is not necessarily directed to people who want to quit their day job and start doing photography full time. It is just a wealth of tips and advice on monetizing on your passion and talent. Added value to the kit comes from another e-book. 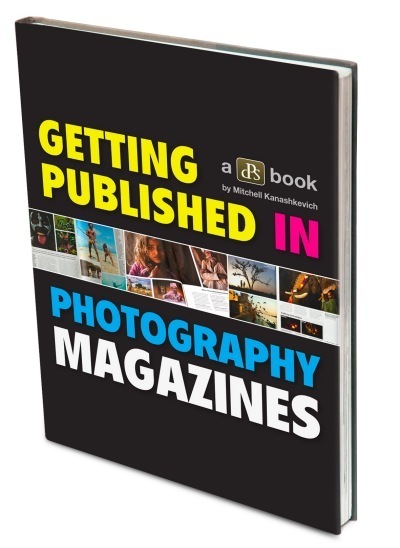 It is “Getting published in photography magazines” by Mitchell Kanashkievich. The e-book does not start, surprisingly, from choice of images or publication. It starts, quite interestingly for me, from making you define the goals, what you want to achieve by the publications. And how to approach them when you set them. There is also a lot of discussion on measuring the outcome, both monetary and in terms of gained experience or contacts. The e-book goes on to tips on finding the right magazine for your work and choosing the best images for submission. I love the list of places to get the preliminary feedback, it is a great advice! The author is definitely qualified to talk about magazine submission process. He proves it by detailed analysis of six of his successful submissions – why, how and what it gave him. Those case studies are great learning material. Those Digital Photography e-books are very professionally edited and designed. Another great feature are clickable links, making use of interactivity of an e-book. It seems so obvious yet you do not seem many authors take advantage of this. I have not a habit, however, to click on them, as it makes for a distracting reading. Yet I can go back and make use of additional resources at any time. For few more days (until July 13, 2011) you can purchase the “Going Pro” kit for the introductory price of $29.99. This is a great discount, only 40% of the regular price. If you consider taking your photography to the next level, this is surely the great investment, so don’t wait. This post contains affiliate links. For full disclosure and policy check this post. 2 Responses to "“Going Pro” kit – e-books review"